Can you transport life on meteorites? The short answer to this question is that we don’t know - although there is a whole field of study dedicated to trying to figure it out. What I’m about to describe are not truly theories - they’re suggestions. If you could transport life around a solar system, how could you do it? We don’t have any evidence to show that these are the ways in which it happens, or even if nature needs the help. 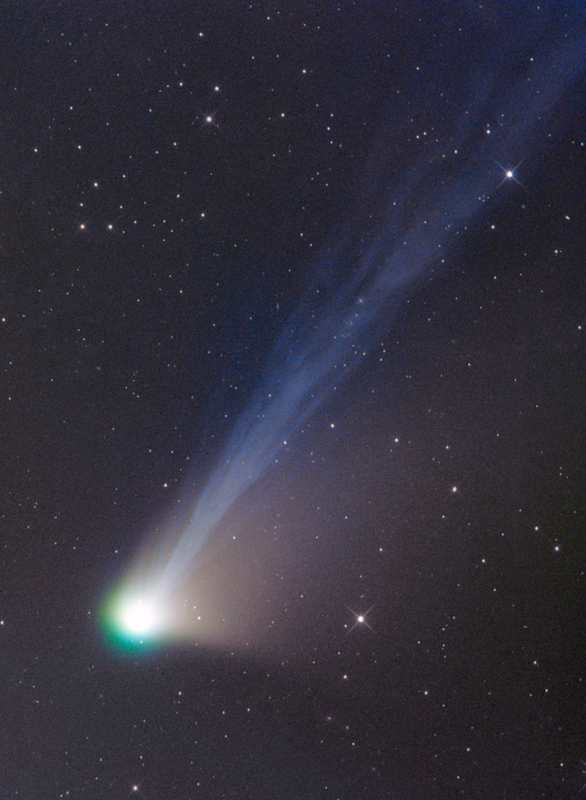 The hypothesis that suggests that either bacterial life or the building blocks for it could be transported via comets or meteorites is called panspermia. It proposes that once life were to arise somewhere in the universe, a large impact upon that planet could create such an explosion that pieces of rock carrying bacteria were flung into space, where they cruise about until crash-landing on another life-friendly planet. We know that meteorites blasted off other planets can make it to our own planet, since we’ve collected a few meteorites that originated on Mars (as discussed in a previous post), so the real question is whether or not bacterial life is hardy enough to survive this whole process, including the blasting off the original planet and the landing on the new planet. If it can, then this might be one way to get bacterial life from Planet A to Planet B within a solar system, however unlikely it might be for those pieces of rock to be flung in exactly the right directions. We have been testing how resilient some bacteria can be to exposure to outer space, which is a pretty unforgiving environment. Some microbes from the English town of Beer managed to partially survive a 533 day stint on the outside of the ISS, which is pretty impressive, but there’s no guarantee that a rock blasted off the surface of another planet will be covered with a particularly space-hardy breed of microbe, nor is there a guarantee that the meteoroids will arrive at another planet in a short period of time. In order to transport entire bacteria, a lot has to go exactly right. But it might be a little easier to transport not the live bacteria, but the the organic molecules that are required to build them. Amino acids are one such set of complex organic molecules, and are often called the building blocks of life. If a comet or meteorite can bring amino acids to a planet, it might help to jump-start the development of life on that planet by skipping the steps required to build those molecules from scratch. These molecules don’t need to have formed on the surface of another life-bearing planet - surprisingly complex molecules can form in the gas between stars in our galaxy. Because these simpler building blocks may be more widely available than planets with life that are also being bombarded with impacts, it may be easier to distribute these molecules than it is to distribute entire bacteria. Until we have more concrete proof of either of these processes happening out there, they will remain suggestions, but we’re working towards testing each of the steps individually to get a sense of how plausible all of the steps together might be. Have your own question? Something here unclear? Feel free to ask! Or submit your questions through the sidebar, Facebook, twitter, or Google+.